I was completely surprised but delighted to be nominated for this award. Professor Philip Woodworth of the National Oceanography Centre in Liverpool has been awarded an MBE in the 2011 New Year’s Honours List. 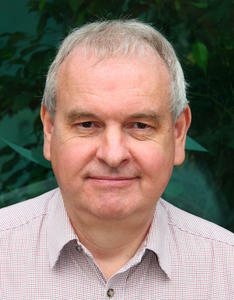 Philip was Director of the Permanent Service for Mean Sea Level (PSMSL) for over 20 years. The PSMSL is the global databank for sea-level change information and it is largely thanks to its dataset that we are able to assess reliably the sea-level changes of the last century and so constrain estimates of changes in the future. This work is particularly important to the millions of coastal dwellers in both rich and poor countries who may be subject to increased future flood risk. Philip was for over a decade the Chairman of the Global Sea Level Observing System (GLOSS) of the Intergovernmental Oceanographic Commission. GLOSS has the responsibility to establish a worldwide network of sea level stations (called 'tide gauges') to provide a long-term source of high-quality data to the PSMSL and to complement measurements of sea-level change by satellites. Such worldwide network building requires a considerable amount of training of specialists in developing countries and Philip has either organised or taken a major part in training courses held almost every year since the mid-1980s. Philip has authored a large number of publications in sea-level science, including studies of tides and changes in mean and extreme sea levels, and has been involved in each of the Intergovernmental Panel on Climate Change (IPCC) research assessments. He was awarded the Denny Medal of IMAREST in 2009 and the Vening Meinesz Medal of the European Geosciences Union in 2010. He is a Visiting Professor in the School of Environmental Sciences at the University of Liverpool.